Help the Viking Brothers hold their own as a mythological race rises from the bottom of the ocean and threatens to change their world forever! 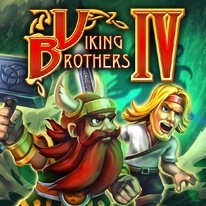 To aid the Viking Brothers on their quest, you must guide them through dozens of visually stunning levels packed with strategic challenges. Join Everand and Boromere today and become an honorary Viking for life!